Click here to see the matching bracelet. I ordered this beautiful Titanium Gucci 10mm Necklace with the matching bracelet from Titanium Kay and I am very satisfied with the purchase. I received my ordered quickly and was very pleased with the craftsmanship and beauty of the pieces. It's amazing how light this metal is and how very comfortable they are to wear. 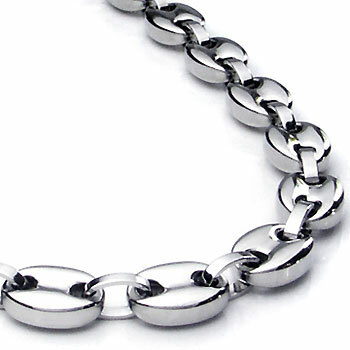 These pieces are masculine and are a bold fashion statement. Excellent company to purchase from, thank you Titanium Kay!